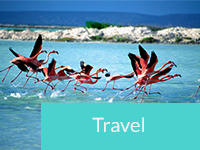 If you’ve been on the island recently and driven around the Hato roundabout, just north of downtown Kralendijk (where many of Bonaire’s resorts and hotels reside), you might have noticed a dramatic change. What once was a barren landscape of dirt and scrub vegetation, has been transformed into a collection of artistic sculptures. 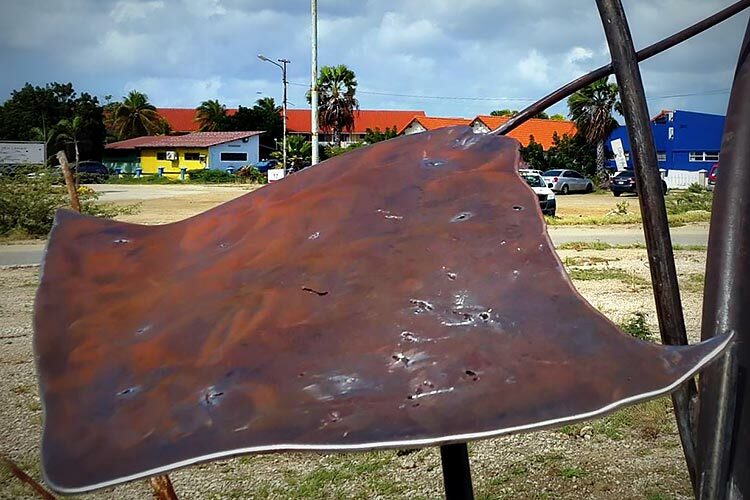 The new artwork is courtesy of renowned metal artist Mark J. Ansier, a long-time Bonaire visitor and avid scuba diver. Partnering with Fundashon Bunita Boneiru, a non-profit organization created specifically for the development of the roundabout’s artwork, Mr. Ansier worked over a period of many months to create a cohesive display that pays tribute to Bonaire’s beautiful underwater world. 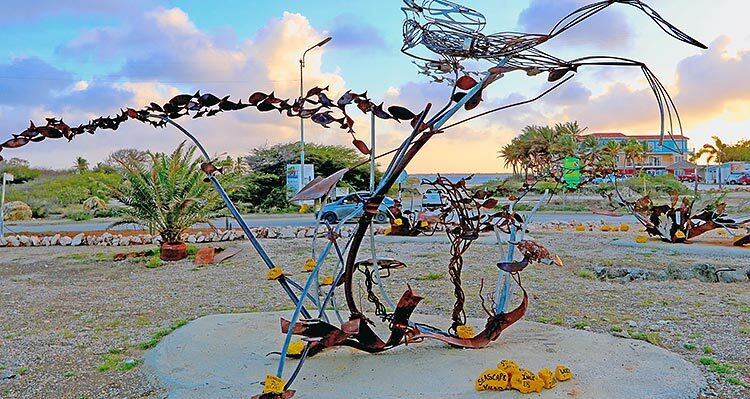 Each intricate sculpture was crafted from discarded waste metal collected from across Bonaire. 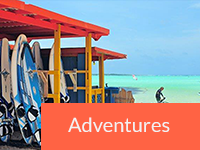 All pieces were hand-crafted on Bonaire during Mr. Ansier’s periodic visits to the island. In fact, when he was on the island creating these sculptures, he could be spotted working in his open-air workshop in the parking lot of the Transworld Radio facility across the street from the roundabout. According to Mr. Ansier, owner of IronWaves Custom Iron Art, he created the monument – titled “Divers Paradise” – in memory of and dedicated to his son and dive buddy, Matt, who passed away several years earlier. His idea for transforming the Hato roundabout caught the attention of long-time island resident, Debby Rauwers. Together with a small group of islanders, she helped establish Fundashon Bunita Boneiru to bring the project to life. Of course, it takes more than a foundation to realize a dream, and that’s where the Bonaire community got involved. 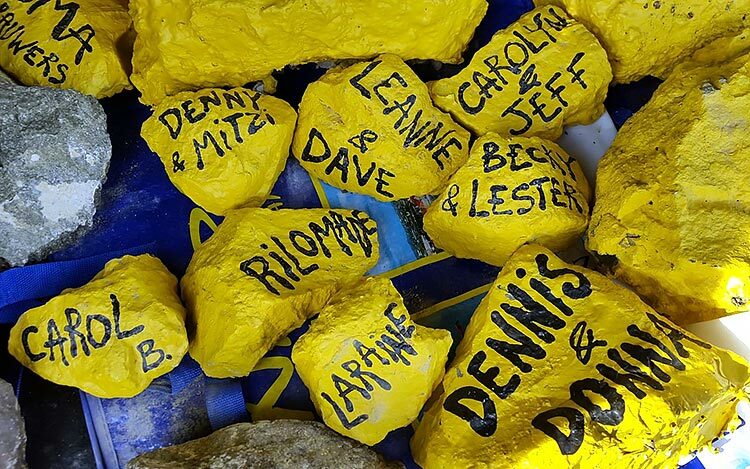 Locals, visitors and residents can leave their mark on the project through the purchase of personalized rocks displayed throughout the installation. 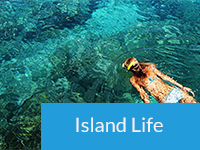 That’s what we love about the island – people getting involved to support worthwhile causes. If you are interested in supporting the project, you can contribute with the purchase of your own personalized sculpture site rock. 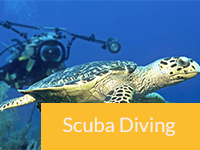 Painted in the traditional yellow color of Bonaire’s shore dive site markers, your rock will be integrated into the sculpture for you and your family to visit for generations to come. More information on how to purchase your rock can be found here. 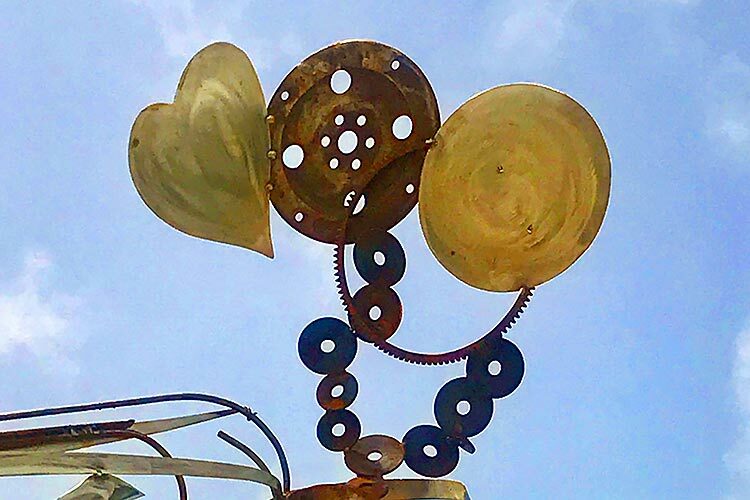 Next time you’re on the island, be sure to drive around the Hato roundabout and enjoy, first-hand, what is possible when Bonaire locals and visitors come together and turn scrap metal and dreams into artistic reality. You can park across from the roundabout and walk the installation as well. 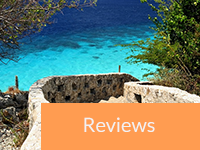 We love Bonaire, art and this project (and got the rock to prove it)! We loved this and stopped and walked around it and took pictures. We are in the process of purchasing rocks.